Most of us at some point get to have dry skin due to cold weather, nutritional deficiencies, aging or even genetic predisposition. Moisturizing is the best solution to this as they prevent and treat dry skin, improve skin tone and texture, protect sensitive skin and disguise imperfections. 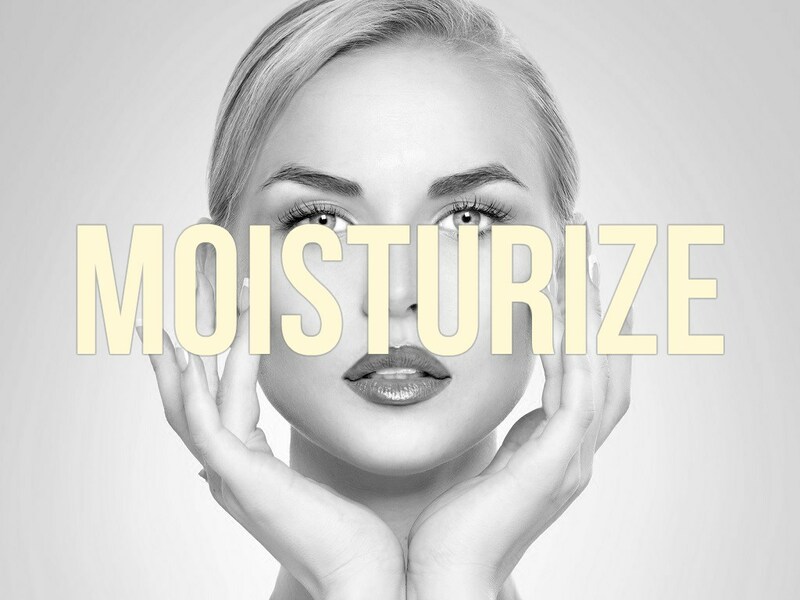 Moisturizers act as a temporary barrier to avoid the skin being hydrated. There are plenty ways you can moisturize your body and keep it looking young and glowing. It contains healthy fatty acids and antioxidants that are good for your skin, help soothe and condition the skin. It can be used with your regular moisturizer or you can mix it with sugar and honey so that it can be used as a body scrub. This is an excellent emollient as it contains vitamin E and has antioxidant properties good for your skin. Warm the oil and massage on your body a half an hour before taking a shower. You can also drink water mixed with one teaspoon of almond oil before going to bed. Milk cream contains lactic acid ha helps exfoliate dry skin and also preserve the skin’s delicate pH levels. Milk helps lighten up your complexion. Mix the cream with milk and lemon juice and rub it on your body before bath. You can also apply cold milk on your face using a face cloth and leave it for 10 minutes before washing off. It is loaded with antioxidant, humectant and antimicrobial properties which help lock in moisture, making your skin soft and smooth. It also contains minerals and vitamins that improve skin health. Rub it on your body before bath. Yoghurt has antioxidant and anti-inflammatory properties that help soothe the dry and itchy skin. The lactic acid in it helps free the skin from any germs that cause itchiness or dryness. You can mix it with papaya, honey or lemon juice; apply on your body for 10 minutes before washing it off with cold water. It has a good quantity of fatty acids that make it good for treating the skin as it makes up for the loss of moisture from the skin. You can apply warm coconut oil before going to sleep or apply when you have taken a bath as it is absorbed easily when the body is warm. When it is applied on the skin, it forms a protective layer against impurities and moisturizes your skin as it has anti-fungal, antiseptic and soothing properties. Squeeze the gel out of the Aloe Vera and then apply it your dry skin. Leave it for 15 minutes, and then rinse it off with warm water. Avocados are full of vitamins, antioxidants and fatty acids that help improve the skin from inside, repair and maintain the skin hence restoring the smooth and silky skin. You can mash up the avocado and mix it with honey and apply it on your skin or even make a smoothie so that you increase your intake of healthy fats. Oatmeal contains high protein properties that leave a protective barrier on the skin, which prevents water loss and maintain moisture. Oatmeal can be added to your water in a bathtub or can be used as a facial mask. The above are natural moisturizers and can be used effectively to prevent dry skin. However, there are also creams that help hydrate the skin, repair the damaged skin due to UV rays and also protect against environmental aggressors. An example of such a cream is the ABOTANIQ Reparative Moisture Cream which you can try for effective skin care. Then you can click ABOTANIQ Reparative Moisture Cream.